Ask any martial artist and they’ll tell you that wrestling is one of the most high-intensity combat sports out there. 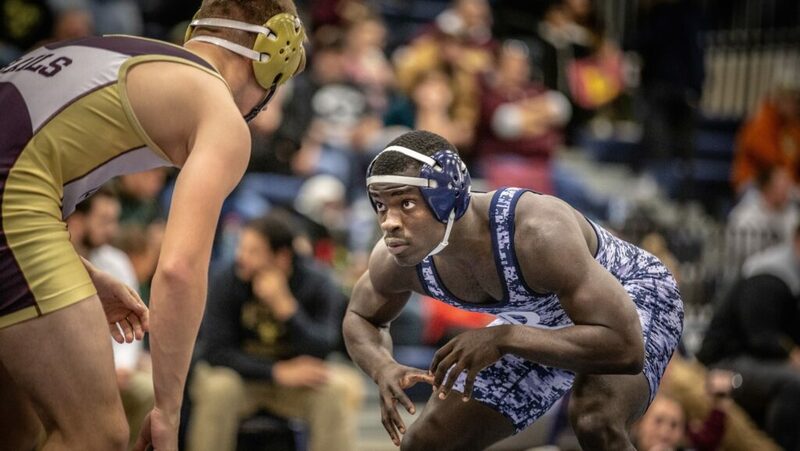 It takes a lot of hard work to become a competitive wrestler, and many, if not all of Olympic wrestlers started the sport at a very young age. 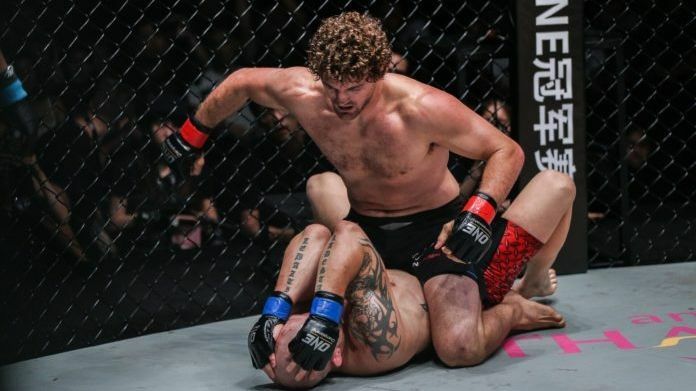 That’s why many of the most successful mixed martial artists have wrestling background: ONE Welterweight World Champion Ben “Funky” Askren, former UFC Lightweight World Champion Frankie Edgar, UFC Heavyweight World Champion and #1 ranked pound-for-pound fighter Daniel Cormier, UFC Middleweight contender Yoel Romero, and even former UFC Heavyweight World Champion Brock Lesnar. 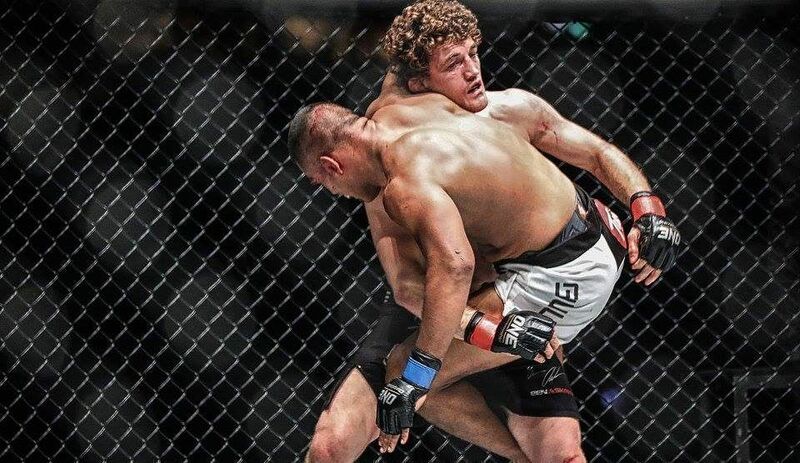 There’s no doubt that nothing translates better to an elite sport than another high-intensity combat sport. Wrestlers always work to stay on their feet, despite having someone possibly stronger hurtle all their weight and strength at them. They try to bounce back, literally, despite all the craziness thrown their way. And it takes a lot to get to the top – there are many matches to be won and lost and setbacks to be faced that could take a toll on anyone’s mental health. Wrestlers take these setbacks as a chance to make them stronger. Instead of letting losses or unachieved goals affect them, they just move forward and continue work to be the best versions of themselves. How to apply this in your life: Instead of getting bogged down by all the bad things that have happened to you, think of them as lessons to learn from. With every mistake you’ve made, try and find out how you got there and how you can avoid it once you find yourself in the same situation. The greatest wrestlers achieved the pinnacle of the sport because they love what they do. They are driven by passion, because, let’s face it – there is not a lot of money to be made with Olympic wrestling. Wrestlers spend many years just training and competing just to get to the pinnacle of their sport. How to apply this in your life: First of all, you must decide what you are passionate about. How do you do that? What’s the first thing you think about every morning? What is one thing you can’t live without? Once you’ve decided, go for it and put your heart and soul into pursuing it. There’s no doubt about it, wrestling is one of the most physically demanding sports out there. The constant pushing, pulling and trying to stay on one’s feet develops strength like no other. Apart from physical strength, core strength is important in wrestling too because it is what helps wrestlers stuff takedown attempts. Wrestling also utilizes both functional and explosive strength, all needed in those six minutes of non-stop action. To work on their strength, apart from regular training, wrestlers take the time to work out and lift weights. How to apply this in your life: Take the time to do strength and conditioning on top of your regular training. Including a strength and conditioning regimen is known to improve flexibility and cardiovascular endurance and more! Wrestlers are some of the hardest working athletes. Kyle Snyder, America’s youngest ever wrestling World Champion is especially known for his work ethic. Just two hours after winning the World Championships, Snyder was ready to hit the mats again and train for his next competition. The legendary Dan Gable was always known to be the first person to show up to practice and the last one out. He would perform workouts inspired by the mantra “Push to collapse” – he made sure he worked hard every training session that most times he would have to be physically carried off the mats. How to apply this in your life: Before you give up, think about it. Everyone has their dark days, days when they just can’t seem to get anything right. Instead of throwing in the towel, know that there is someone out there in worse circumstances than yours and willing to make it work. Make the most of the gifts you’ve been given and push through. Be that person who is willing to keep on pushing even after suffering through setbacks. It doesn’t matter if you’re a seasoned athlete or a complete beginner – the harder you work in training, the more benefits you’ll reap. Go forth and train hard, you’ve got this! Wrestling is one of those martial arts that has been around for ages, and it is arguably the best base for mixed martial arts. There are two main styles of wrestling nowadays: Greco-Roman and freestyle….